Result: The outcome of this colourful and engaging book design is that it attracts young readers on what can be a dry subject. 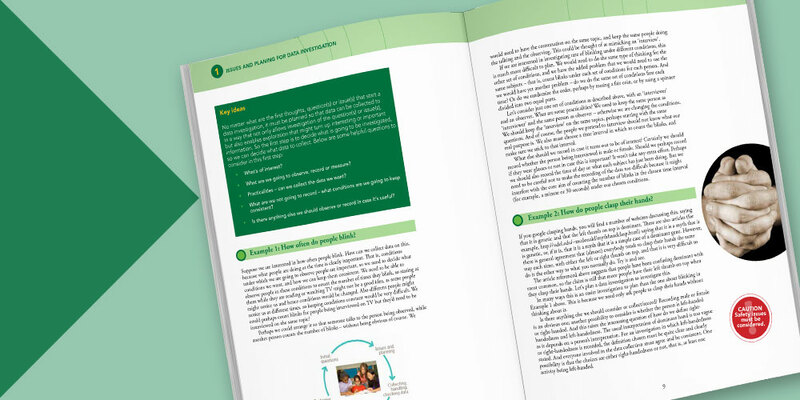 The design helps establish the book as an essential classroom tool that’s easy to use. 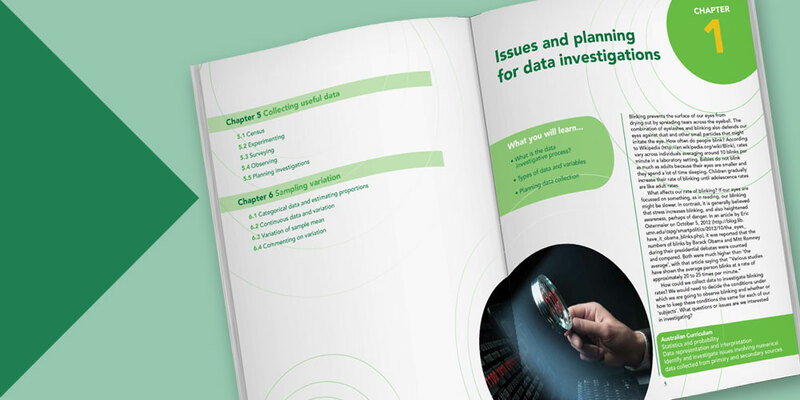 Clean internal layout with distinct sections help to support the learning process. 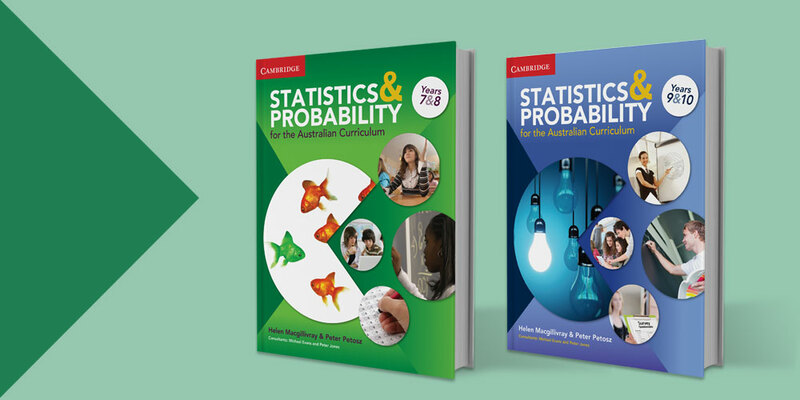 Challenge: Written for the Australian Curriculum, the two book series needed a colourful and engaging jacket design to engage high school students. Two distinct book designs were needed while being part of the same series. The internal pages must consist of key terms, hints and caution boxes to support students’ learning. Review sections also needed to be incorporated to aid revision.